9th May being Pujya Deepakbhi's Birthday, all mahatmas (followers) gathered in the Trimandir (non sectarian temple at Adalaj, India) and did bhakti for his long long life and good health.Â Pujya Deepakbhai took blessings from all mahatmas (followers) to become 100% pure for the work of Jagat Kalyan (world salvation). Many mahatmas (followers) came specially to greet Pujya Deepakbhai. 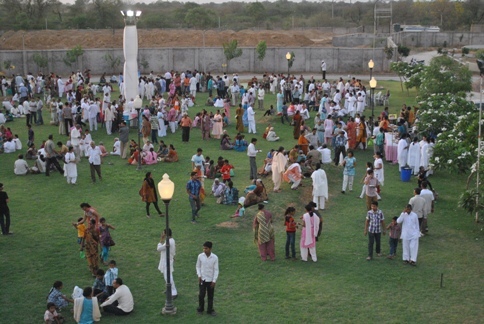 In the evening Anand Mela (a fun fair) was organized in Bliss Garden, ATPL(Simandhar city Phase – II,India) where mahatmas (followers) had put up various stalls of food and craft activities for children. 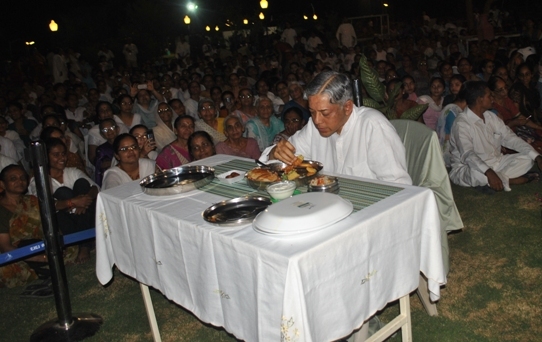 Pujya Deepakbhai had dinner with all mahatmas (followers). 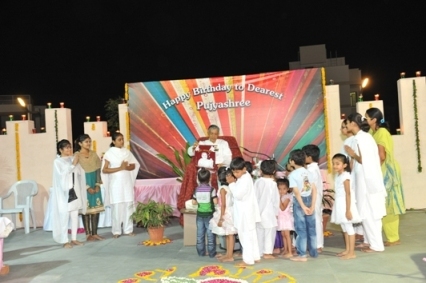 Small kids had designed a special card to wish Pujya Deepakbhai. 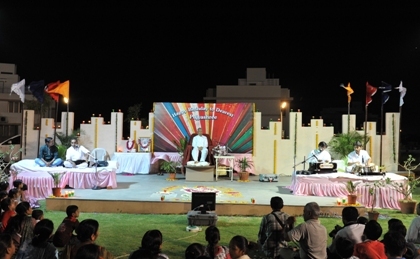 It was followed by “Lok Dayro” (traditional Gujarati folk talks and songs) based on Param Pujya Dadashri's book “Klesh vinanu Jivan” (Life Without Conflict) .